I mentioned this one back in May and it has stuck with me enough to make this list of my favorite things of 2017. It's also the game that surprised me the most. Dead Cells is a challenging, Castlevania inspired, roguelike. That description alone should have turned me off. I have a bit of a love / hate relationship with roguelike games.They don't often capture my attention as I tend to dislike the loss of progress while replaying of the same content. 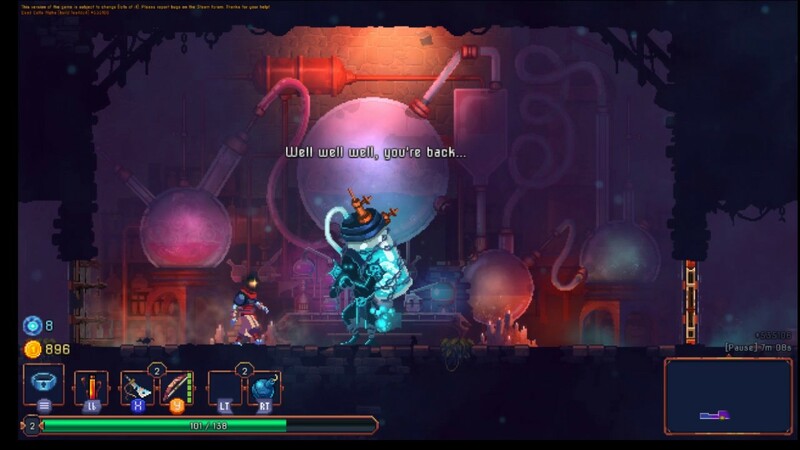 Dead Cells manages to mitigate just about everything I dislike about indie roguelikes. I also tend not to like hard games. The whole genre reborn with the popularity of the likes of Dark Souls. I primarily bristle at that type of game due to the mechanical demands of the controls and the frustration factor. So it was a double surprise to me when this games managed to sink it's hooks into me! The controls are very smooth, and honestly may be the best part of the games design. When you make your game challenging you have to ensure the controls are intuitive. It's really slick, and has a finely balanced learning curve. 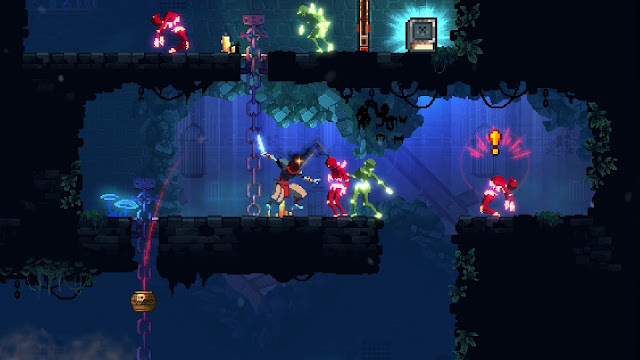 The enemies attacks have just the right combination of telegraph and timing to present an evolving challenge. Then there is the fact that you carry forward some of your progression between games. It's an inspired change to the format and ensures that virtually every run pays forward in some way. If you managed to get to the end of a level you can invest the 'cells' you have collected into powerups and new weapon options. Those then become available across games. It solves the central dilema that I often have with roguelike games. It's also a lot of fun. The controls are so good that this one really triggers the nostalgia cells in my brain. This feels like a 90s platformer in all the right ways.